This place had been very famous mainly because of its “Pahiyas Festival” that happens during the celebration of feast of San Isidro on the 15th of May. Other things that made this place known to many is their food. Many favors the lustrous taste of “Longganisa Lucban” and the uncanny way of eating “Pancit Habhab”. Lastly, this place is also known to pilgrims because of the “Kamay ni Jesus” literally translated to “Hands of Jesus” who will likely to visit this place once a year due to their promise or for praying in the large statue of Jesus. 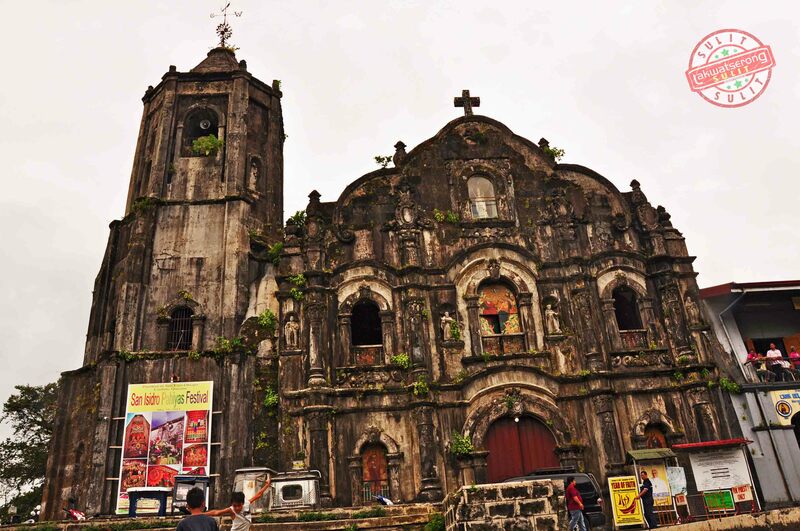 The Lucban Church is another place where people also visited whenever they come to Lucban. The present church was built and completed in 1738 but before it the first church at the same location was built in 1595 but it was ruined in 1629. The 2nd Church was constructed between 1630 to 1640, but it was seriously damage by fire in 1733. The present church is almost the same with the one in Tayabas Quezon. 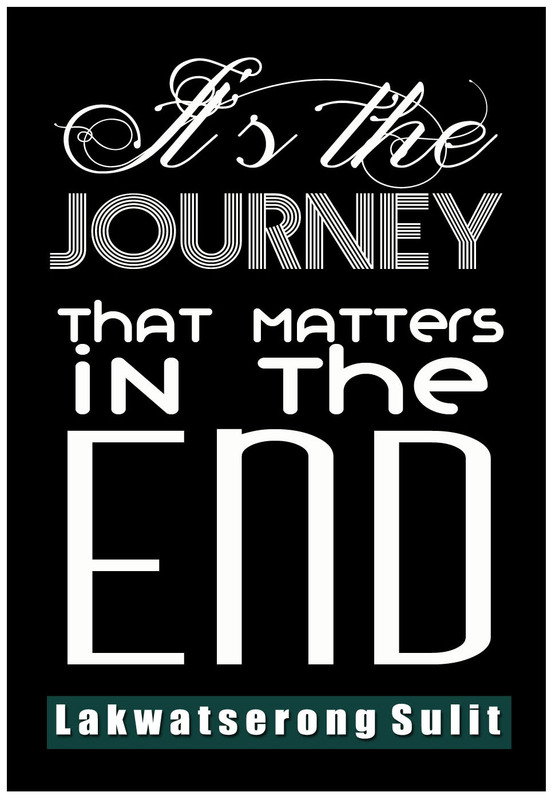 Well, this blog may not be talking about those written above but of the other side of Lucban. Many of the people visiting this place is not keen into knowing that this place is also a haven of heritage houses. 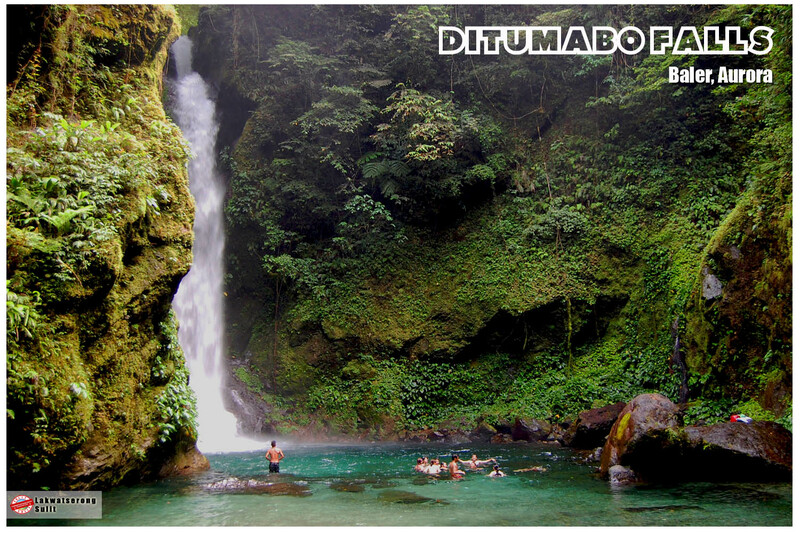 Lakwatserong Sulit wrote this blog to put emphasis to the richness of culture of this place. 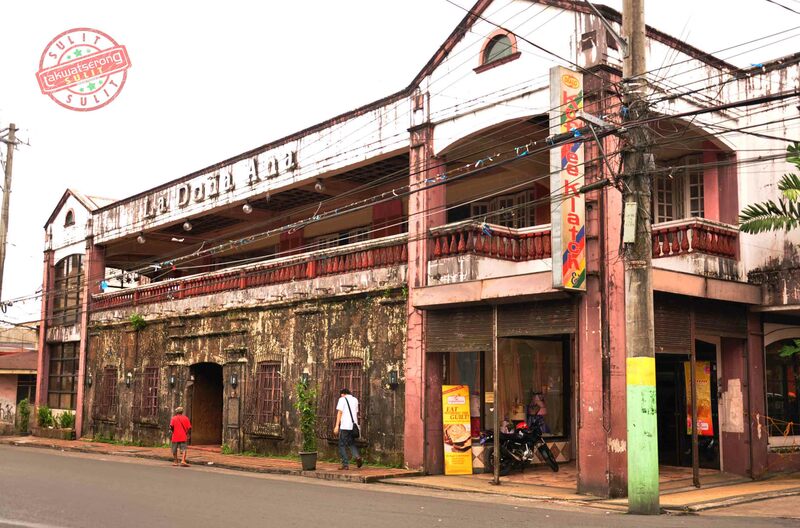 Heritage houses are another thing that favors Lakwatserong Sulit, so for this visit in Lucban he will provide you pictures of those houses that can be found in Lucban. He might not be able to give enough details about the houses at least he will take you back in time through his photos. 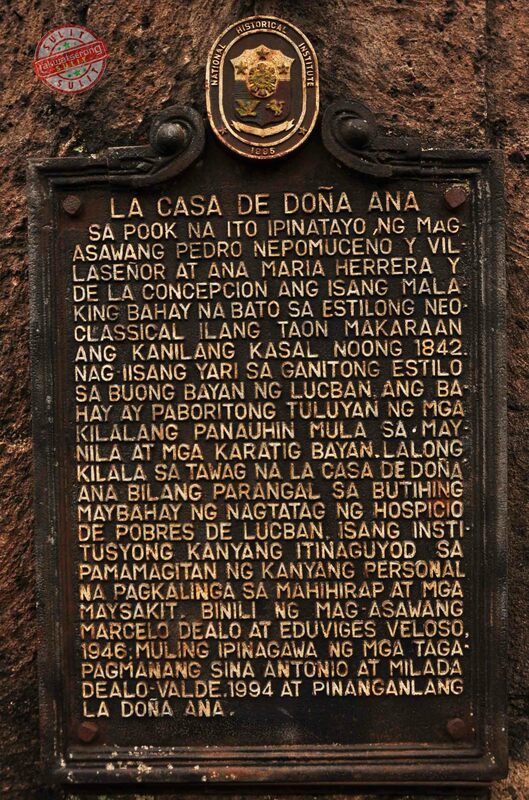 The first heritage house that one will see if he will be coming from the side of Municipal hall along Quezon Avenue is the home of Dona Ana also known as the “La Casa de Dona Ana” . La Casa de Dona Ana was built after the marriage of Pedro Nepomucino Villasenor and Ana Maria Herrera De La Concepcion on 1842. 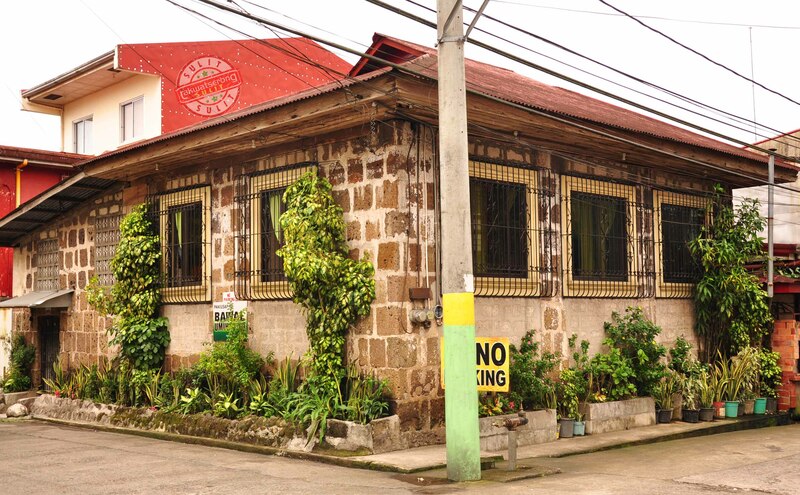 Their house is the only one that was built by stone with the neo-classical style during that time in whole Lucban. The house has been the favorite place to stay by famous visitor from Manila and other places. The house was bought by Marcelo Dealo and Eduviges Veloso on 1946 and undergone renovation at the time of the Antonio and Milada Dealo on 1994 and was named La Dona Ana. Another heritage house that can be seen at the side of Patio Rizal Hotel is this house. It doesn’t have any marker on it but the appearance clearly shows that it has been there for quite a long period of time. The lower portion of the house is made of cemented material due to the needs of modernization but the upper part of the house is made of wood that has a unique design which is very particular in details. The capiz window made the house very interesting to look upon. If not because of the commercial store at the bottom of the house it would have been a classy house during the Spanish period. At the other side of the street, you’ll find this house standing with the rest of modern houses. 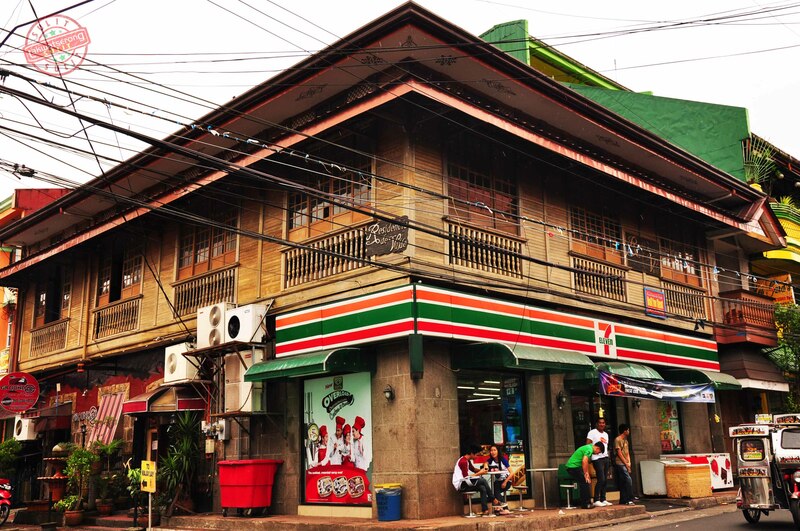 It was almost the same with the heritage house above, the lower floor was renovated and were cemented to put commercial store while the upper floor was preserved to its original state. This two house looks the same even in its size only that the latter looks more restored than the other. Both were not repainted and doesn’t look like it undergone restoration. A few meters away, you’ll see another heritage house that has the same size with the two houses above but has completely different design on the upper floor. This house has undergone repainting and renovation as seen in the picture. But the original style was retained for it to look the same but with the touch of slight modernization. This next house looks like a rendition of the heritage houses around Lucban but as to the origin of it, the author has no idea. This house may also be another heritage house due to its look. If you may observe the stone brick at the corner of the house is interlocking it does not have a foundation which the modern houses usually have. The house was marked with “Residencia de Valde”. 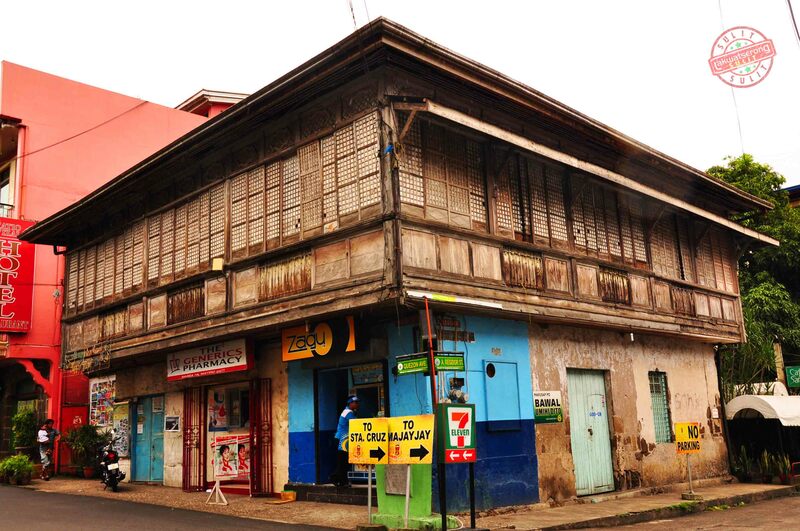 The upper portion of this house is also made of wood but has a modern touch of architecture as seen on its window pane design and also the windows maybe at its sliding form but instead of capiz it was made of glass. This may had undergone renovation or this may be the original form of it. As to its origin the author did not know. On the other side of San Luis Street one will also find a few heritage houses with a touch of more modernization style. This yellow house may not be a heritage house due to its modern design but once you enter, you’ll see the interior was like those of heritage houses. 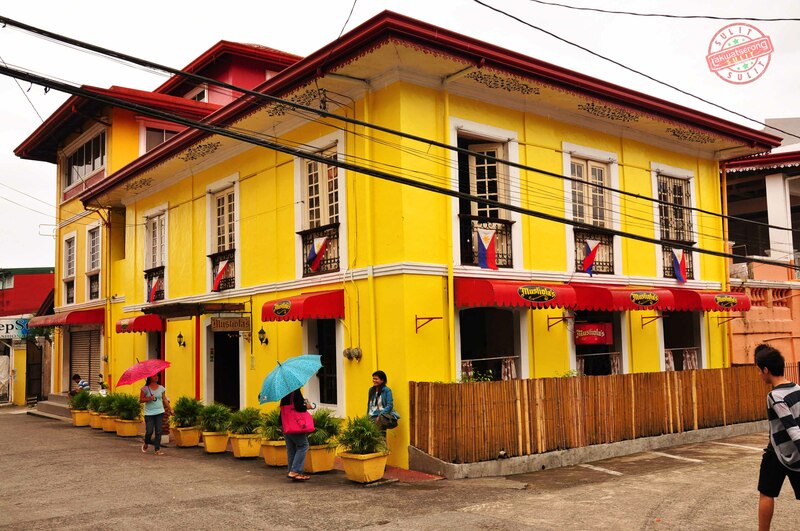 If you happen to go near this place you may opt to visit this yellow house because here housed the “Mustiola Restaurant” they served home cooked style food that will surely delight your stay. You will definitely miss this house due to its vivid paint. 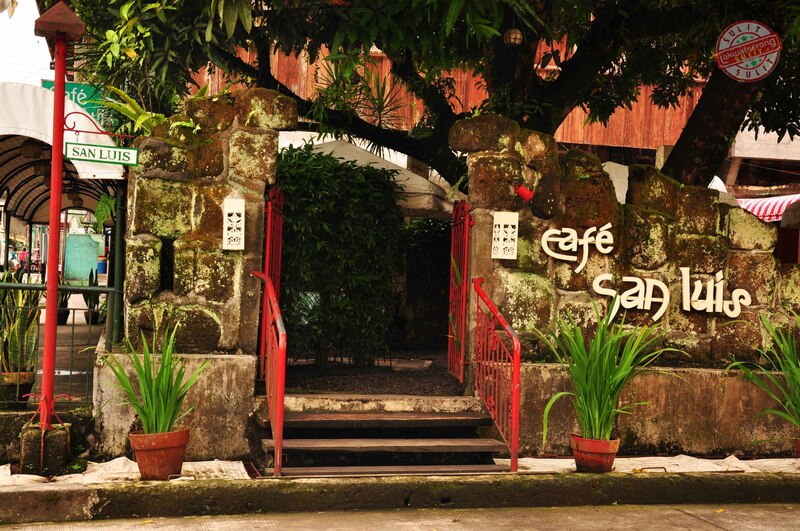 At the other corner you’ll find the “Cafe San Luis” . 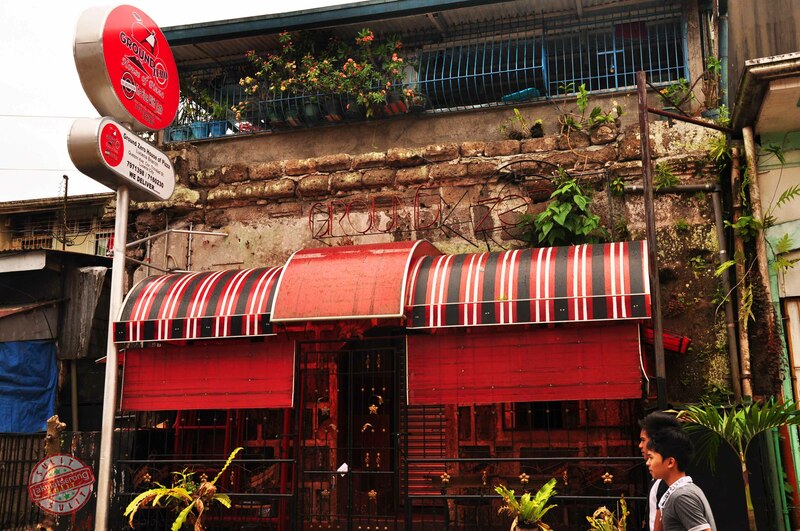 The walls of the Cafe are made of stone bricks and definitely would be an addition to your itinerary once you’ve visited Lucban. Along San Luis Street you’ll find a more modernized stone bricks house. Another heritage house that require observation for it to be classified one especially for those who are not really into heritage houses. This house had undergone a series of renovation but definitely preserved its original structure. The stone bricks that was used to form the structure was still there as one can see the interlocking bricks at the corner of the house that made its strong foundation. While the window was renovated to suit the needs of the owner it still shows that it was once a big window that used to be the same with the heritage houses. 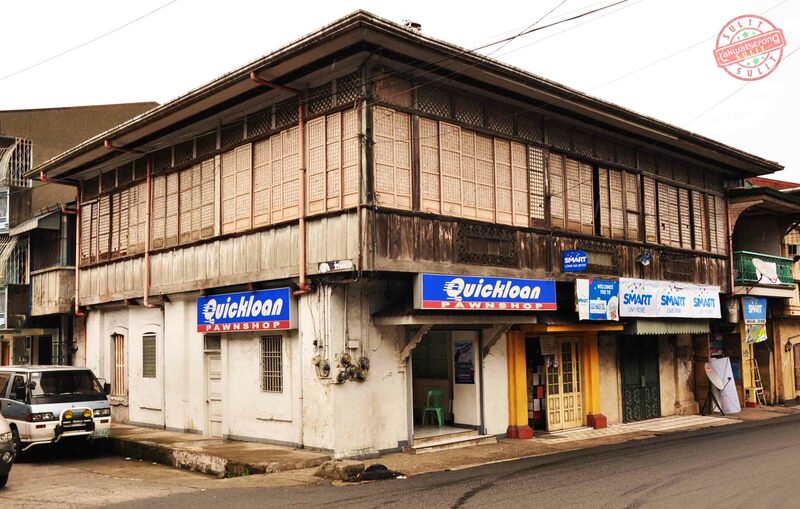 The last house that Lakwatserong Sulit saw during his visit in this town is this. At first you’ll not going to see how it become another addition to the heritage houses like the one above but if take a good look at it you’ll find out that this is indeed a heritage house. From the looks on the outside you’ll see that it was converted to a pizza house called Ground Zero but if you take a good look at its wall you’ll see that the stone bricks is still intact and probably the interior but unfortunately the upper portion is already heavily modernized. This heritage houses can be toured for at least 30 minutes to 45 minutes. 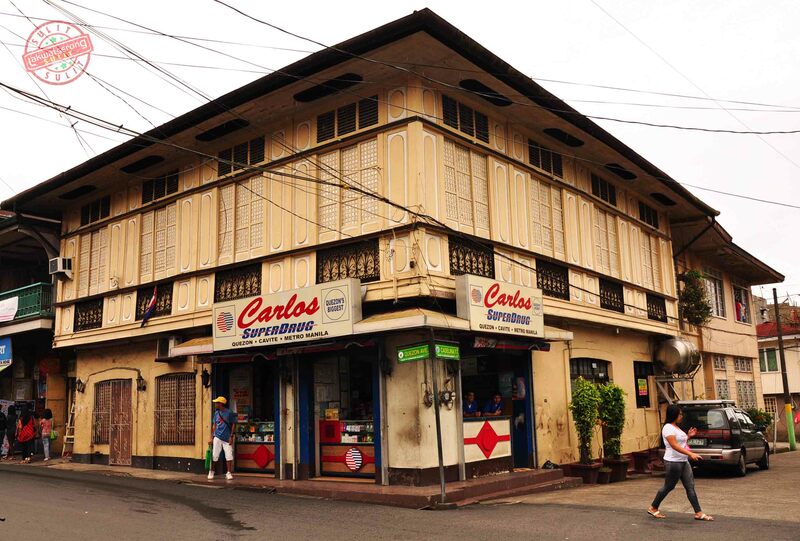 Lakwatserong Sulit recommends that you visit this houses if ever you find yourself in Lucban. From Manila, take a Lucena bound bus or hop in to any bus going to Bicol and alight at Lucena. There are buses that has daily trips to Lucena City, located along Buendia-Taft, Pasay-EDSA, EDSA-Kamuning in Quezon City, and Araneta Center in Cubao. From Pasay to Lucena the fare is around P220.00 upon reaching Lucena Grand Central Terminal, take a Lucban bound jeepney or mini bus it will cost you P30.00 going to Lucban. It’s just around 45 minute ride from the grand terminal. If you’re coming from Manila it and looking a cheaper route going to Lucban, Lakwatserong Sulit suggest that you took the alternate road via Antipolo going to Teresa, Morong, Pililla, to Mabitac Laguna, Siniloan, Panguil, Pakil, Kalayaan then take the road to Caliraya from Lumban and then via Cavinti and Louisiana. Next to Louisiana is Lucban, it would take you around 3 to 3.5 hrs. of travel via Private transportation.